Sirtuin 3 (SIRT3) is one of the seven mammalian sirtuins, which are homologs of the yeast Sir2 gene. SIRT3 is the only sirtuin reported to be associated with human life span. Many recent studies have indicated that SIRT3 levels are elevated by exercise and caloric restriction, but whether SIRT3 influences cell senescence under stressed conditions in human diploid fibroblasts has not been established. Our data showed that expression of SIRT3 is elevated in human diploid fibroblasts under low glucose (3.3 mM glucose) growth conditions and decreased under high glucose (25 mM glucose) growth conditions. We have demonstrated that SIRT3 interacts with forkhead box protein O1 (FOXO1). High glucose levels also increased aging phenotypes and FOXO1 acetylation level. We have demonstrated that overexpression of SIRT3 under high glucose conditions reduces FOXO1 acetylation, suggesting that deacetylation of FOXO1 by SIRT3 elevates the expression of the FOXO1 target genes, catalase, and manganese superoxide dismutase (MnSOD) while decreasing senescence phenotypes. We studied the effects of SIRT3 protein knockdown by shRNA under low glucose conditions. The data showed that shRNA-SIRT3 accelerated senescence phenotypes and acetylation of FOXO1; the expression level of catalase and MnSOD decreased compared with the control group. As a consequence, SIRT3 antagonized cellular senescence with the characteristic features of delayed SA-β-gal staining, senescence-associated heterochromatin foci (SAHF) formation, and p16INK4A expression. These results demonstrate for the first time that SIRT3 overexpression antagonizes high glucose-induced cellular senescence in human diploid fibroblasts via the SIRT3–FOXO1 signaling pathway. Bin Zhang and Shaoyuan Cui, these authors contributed equally to this work. The sirtuins (or Sir2-like proteins) are a conserved family of NAD+-dependent protein deacetylases which overexpression has been reported to extend life span in yeast, worms, and flies (Kenyon 2010). Accumulating evidence suggests that reversible protein acetylation, which was historically considered to be limited to histone proteins, may be a major regulatory mechanism that controls functions of nonhistone proteins. Seven mammalian homologs belonging to the family of Sir2 proteins (Sirt 1–7) have been identified. The challenge now is to explain how these proteins communicate to regulate cross talk between aging and onset and progression of age-related disorders (de Oliveira et al. 2010). SIRT1 and SIRT6 are localized to the nucleus; SIRT7 is localized to the nucleolus; sirtuin 3 (SIRT3), SIRT4, and SIRT5 are localized to the mitochondria; and SIRT2 is localized to the cytoplasm. They regulate a wide range of intracellular processes (Haigis and Guarente 2006). Among them, SIRT3 is unique because it is the only analog which increased expression has been found to be associated with extended life span in humans (Rose et al. 2003; Bellizzi et al. 2005). SIRT3 is localized predominantly in mitochondria and is considered to be a mitochondrial stress sensor that can modulate activity of several mitochondrial proteins involved in metabolism and oxidative stress regulatory pathways (Ahn et al. 2008; Scher et al. 2007; Onyango et al. 2002; Shi et al. 2005; Yang et al. 2010; Kong et al. 2010). Several lines of evidence link SIRT3 to metabolism: caloric restriction activates SIRT3 expression in both white and brown adipose tissues. In addition, cold exposure upregulates SIRT3 expression in brown fat, whereas elevated climatic temperature reduces its expression (Shi et al. 2005). Ang II downregulates SIRT3 mRNA, and this effect is inhibited by an AT1 antagonist in cultured tubular epithelial cells (Benigni et al. 2009). However, the relationship between SIRT3 and cell senescence is yet unclear. A conserved insulinlike signaling pathway exists in invertebrates and vertebrates. The constituents of this pathway act as second messengers, conveying signaling information from the insulin receptor (termed DAF-2 in Caenorhabditis elegans and inR in Drosophila melanogaster) to key downstream effectors including the forkhead transcription factors (FOXO) (DAF-16 in C. elegans and dFOXO in Drosophila) (Murphy 2006). The FOXO family in mammals consists of the evolutionally highly conserved forkhead transcription factors forkhead box protein O1 (FOXO1), FOXO3a, FOXO4, and FOXO6, which are mammalian orthologs of DAF-16 in C. elegans. DAF-16 is required for life span extension in C. elegans (Huang and Tindall 2007; Zanella et al. 2010; Yamaza et al. 2010; Giannakou et al. 2008). A recent series of studies has demonstrated that FOXO factors play important roles in inducing various downstream target genes, including regulators of metabolism, cell cycle, DNA repair, cell survival or apoptosis, and oxidative stress response (Furukawa-Hibi et al. 2005; Sedding 2008). The activity of FOXO factors is regulated by a sophisticated signaling network that integrates information from PI3K/Akt and stress-induced signaling pathways resulting in a specific pattern of post-translational modifications. The multiple post-transcriptional events regulated the activity of FOXO proteins including phosphorylation, ubiquitylation, and acetylation at three different levels: subcellular localization, stability, and transcriptional activity. A series of recent studies in mammalian cells have indicated that the reversible acetylation of FOXO proteins by nuclear coactivators and corepressors provides another layer of regulation of nuclear FOXO transcriptional factors. Acetylation of FOXO proteins by acetylases such as CBP and p300 increases in response to oxidative stress (Brunet et al. 2004; Frescas et al. 2005; Kitamura et al. 2005). Acetyl-FOXO proteins accumulate in the nucleus and cytoplasm associate with Pml bodies, which hinder their activity (Kitamura et al. 2005). A recent study showed that the human Sir2 ortholog SIRT1 binds and deacetylates FOXO proteins at lysine residues that are acetylated by CBP/p300 (Daitoku et al. 2004). However, the effect of FOXO acetylation–deacetylation on the transcription of target genes is not quite so straightforward. We considered that acetylation could interfere with FOXO binding to target DNA and thereby prevent FOXO-mediated transcription. A recent study demonstrated that SIRT3 blocked cardiac hypertrophy by activating the FOXO3a-dependent, antioxidant-encoding genes, catalase and manganese superoxide dismutase (MnSOD), thereby decreasing cellular levels of ROS (Sundaresan et al. 2009). In this study, we aimed to determine the relationship between SIRT3 and the senescence of WI-38 cells under conditions of low glucose (40 % below the normal serum glucose; lower concentration glucose, 3.3 mM), normal serum glucose (normal concentration glucose, 5.6 mM), and high serum glucose (high concentration glucose, 25 mM). Our results indicated that SIRT3 is significantly overexpressed in WI-38 cells under the low glucose condition compared with the other conditions. We have demonstrated that SIRT3 interacts with FOXO1. Furthermore, we found that nuclear-acetylated FOXO1 is significantly increased in WI-38 cells under the high glucose vs. other conditions. Moreover, our data demonstrated that enhanced SIRT3 expression under high serum glucose activates the FOXO1-dependent antioxidant-encoding genes, catalase and MnSOD, and then antagonizes cellular senescence with the characteristic features of delayed SA-β-gal staining, senescence-associated heterochromatin foci (SAHF) formation, and p16INK4A expression. Finally, we considered that SIRT3 delays the progression of human diploid fibroblast senescence via the SIRT3–FOXO1 signaling pathway. WI-38 cells (human embryonic lung diploid fibroblasts) and HEK 293 T cells (human embryonic kidney 293 T cells) were originally obtained from the American Type Culture Collection (Manassas, VA, USA). Dulbecco's Modified Eagle's Medium (11966-025, 31600-034, 12100-046), fetal calf serum (FBS), and MitoTracker Green FM (M-7514) were purchased from Invitrogen (Carlsbad, CA, USA). TOMM20 antibody (ab56783), MnSOD antibody (ab86087), TATA-binding protein antibody (TBP ab818), FOXO1 antibody (ab70382), and p16INK4A antibody (ab54210) were purchased from Abcam PLC (Cambridge, MA, USA). Catalase antibody (sc-50508), SIRT3 antibody (sc-99143, sc-365175), FOXO1 antibody (sc-9809, sc-67140), and Ac-FOXO1 antibody (sc-49437) were purchased from Santa Cruz Biotechnology, Inc. (Santa Cruz, CA, USA). β-Actin antibody (A-1978) was purchased from Sigma-Aldrich (St. Louis, MO, USA). SIRT3 antibody (5490 s), Myc antibody (2278 s), FLAG antibody (2908 s), and normal rabbit IgG (2729) were purchased from Cell Signaling Technology, Inc. (Beverly, MA, USA). Anti-rabbit (A0208) or anti-mouse (A0216) IgG, horseradish peroxidase-linked species-specific antibodies, Cy3-labeled goat anti-rabbit IgG (H + L) (A0516), fluorescein isothiocyanate (FITC)-labeled goat anti-rabbit IgG (H + L) (A0562), Cy3-labeled goat anti-mouse IgG (H + L) (A0521), and 4',6-diamidino-2-phenylindole (DAPI) (C1002) were purchased from Beyotime (Beijing, China). FITC-conjugated AffiniPure Rabbit Anti-Goat IgG (H + L) (ZF-0314) was purchased from ZSGB-Bio (Beijing, China). pCMV6-AC-green fluorescent protein (GFP) tagged-ORF clone of Homo sapiens SIRT3 protein (pCMV6-AC-SIRT3-GFP, RG217770) and pCMV6-Myc-DDK-tagged ORF clone of H. sapiens forkhead box protein O1 (FOXO1) protein (pCMV6-FOXO1-Myc-DDK, RC200477) were purchased from OriGene (Rockville, MD, USA). pCMV6-AC-GFP vector was a kind gift from Chi-Dug Kang (Pusan National University). pGPU6-GFP-Neo-SIRT3-shRNA (A03390) and pGPU6-GFP-Neo-sh negative control (NC) (A03394) were purchased from Shanghai GenePharma (Shanghai, China). Nuclear–cytosol extraction kit (#P1200) was purchased from Applygen Technologies Inc. (Beijing, China). Enhanced chemiluminescence detection reagents were purchased from Applygen Technologies Inc. (Beijing, China). jetPRIME™ transfection reagent was purchased from Polyplus-transfection Inc. (Illkirch, France). SIRT3 fluorimetric drug discovery kit (AK557) was purchased from BML Inc. (Farmingdale, NY, USA). Coulter counter Z1 was from Beckman Coulter (Miami, FL, USA). All other chemicals were obtained from Sigma-Aldrich (St. Louis, MO, USA). WI-38 cells and HEK 293 T cells were cultured in dulbecco's modified eagle medium (DMEM) supplemented with 10 % FBS, 2 mM glutamine, 100 U/ml penicillin, and 100 μg/ml streptomycin glucose concentration in this medium was 5.6 mM. Cells were incubated at 37 °C in room air with 5 % supplemental CO2 until reaching confluency. For experiments, cells were grown in 25-cm2 flasks at an initial seeding density of 1 × 104/cm2 unless stated. Cells were passaged before reaching 70–80 % confluence. Viable cells were counted at each passage by trypan blue staining using a Coulter counter Z1 and population doublings (PDs) was determined as current PDs = last PDs + log2 (collected cell number / seeded cell number) (Borradaile and Pickering 2009). Beginning with 20 PDs, WI-38 cells were passaged under three different growth conditions as follows: (1) low glucose, 40 % below the normal glucose level (lower concentration glucose, 3.3 mM, LG); (2) normal glucose (normal concentration glucose 5.6 mM, NG); and (3) high glucose (high concentration glucose, 25 mM, HG) media, respectively. WI-38 cells were seeded at 75-cm2 cell culture flasks. Harvested cells no less than 5 × 107/ml with triton lysis buffer (20 mM Tris–HCl, pH 7.5, 0.12 M NaCl, 10 % glycerol, 1 % Triton X-100, 2 mM ethylene diamine tetraacetic acid (EDTA), 1 mM phenylmethanesulfonyl fluoride (PMSF), 10 μg/mL aprotinin, 1 mM Na3VO4). Lysed cells were centrifuged for 15 min at 12,000 rpm. The supernatant was precleared and incubated with FOXO1 antibodies overnight at 4 °C with gentle rotation and then protein A/G PLUS-agarose beads (Santa Cruz Biotechnology, Inc.), incubated for 1 h at 4 °C were added. Sepharose beads were washed three times with high salt lysis buffer (0.5 M NaCl, 1 mM PMSF) and once with low salt lysis buffer (0.12 M NaCl, 1 mM PMSF). Beads were resuspended in 2× sodium salt (SDS) loading buffer, heated to 100 °C for 10 min, and centrifuged for 1 min at 5,000 rpm. Supernatants were collected and then separated on a sodium dodecyl sulfate polyacrylamide gel electrophoresis (SDS-PAGE) followed by western blotting. HEK 293 T cells were seeded at six-well plate. Transfection of expression for each SIRT3 each well was used for the NC and cotransfection of expression for SIRT3 and each FOXO1 well was used for the positive control. Lysed cells were centrifuged. The supernatant was incubated with Myc-tagged mAb-conjugated sepharose beads (Cell Signaling Technology, Inc.), the bound proteins were eluted and then separated on a SDS-PAGE followed by western blotting. pCMV6-AC-GFP vector, pCMV6-AC-SIRT3-GFP, pGPU6-GFP-Neo-shNC, and pGPU6-GFP-Neo-SIRT3-shRNA were transfected into young WI-38 cells at 20 PDs with jetPRIME™ transfection reagent, according to the manufacturer's instructions. After 48 h, the cells were selected by G418 (300 μg/ml). Colonies of stable transformations were isolated 2 weeks later and propagated in complete medium (colonies of pCMV6-AC-GFP vector and pCMV6-AC-SIRT3-GFP were cultured under high glucose media; colonies of pGPU6-GFP-Neo-shNC and pGPU6-GFP-Neo-SIRT3-shRNA were cultured under low glucose media, containing 50 μg/ml G418). The resulting transformations were termed pVector, pSIRT3, sh-NC, and sh-SIRT3, respectively. Clones of transfected cells were obtained with G418 sustained selection. The PD number of a clone grown to about 106 cells is about 20. Therefore, the actual PD number of the transformants should be increased by 20 PDs when they are compared with the untransfected cells (Duan et al. 2001; Liu et al. 2010). When the cells stopped dividing and remained impossible to be further passaged for 2 weeks, they were regarded as growth arrested. Conclusions were confirmed by two independent transduction tests. Assays were performed in standard plastic six-well dishes (Corning) containing subconfluent cultures of approximately 60,000 cells/well. Cells were washed thrice times in phosphate buffered saline (PBS), fixed for 10 min (room temperature) in 2 % formaldehyde/0.2 % glutaraldehyde, washed again in PBS, and incubated for 12–16 h at 37 °C (without CO2) with 2 ml fresh senescence-associated β-gal (SA-β-gal) stain solution (1 mg/ml X-gal, 40 mM citric acid/sodium phosphate, 5 mM potassium ferrocyanide, 5 mM potassium ferrocyanide, 150 mM Nacl, and 2 mM Mgcl2 [pH 6.0]). Thereafter, cells were washed in PBS, and the number of β-galactosidase activity-positive cells (blue staining) was counted under a microscope. SAHF formation is a novel specific biomarker of cellular senescence because marked focal heterochromatin exists in aged cells. To determine SAHF formation, cells were cultured directly on glass cover slips and then fixed with 4 % paraformaldehyde. After washing with PBS, cells were permeabilized with 0.2 % Triton X-100/PBS for 10 min. DNA was visualized by DAPI (1 μg/ml) for 1 min at room temperature and then washed with PBS three times. Cover slips were mounted in a 90 % glycerol PBS solution. Cover slips were examined under a microscopy. WI-38 cells were homogenized by sonication and high-speed centrifugation. Cell lysate supernatant was assayed for total protein content and subjected to western blot analysis as described by Zhuo et al. (2009). Briefly, a total of 60 μg protein was separated by 6–15 % SDS-PAGE and then transferred to a membrane that was then blocked with 2.5 % casein solution, probed with a primary antibody at 4 °C or 28 °C overnight, and afterward incubated with a horseradish peroxidase-conjugated secondary antibody. The protein bands were visualized by enhanced chemiluminescence detection reagents. The cells were washed twice with ice-cold PBS buffer. Cytosol extraction buffer A was added. The lysate was then incubated on ice for 15 min, and 5 % cytosol extraction buffer B was added to the suspension, which was then centrifuged at 12,000 ×g at 4 °C for 5 min. Supernatant was collected for cytosolic protein lysate. The remaining cell pellet was resuspended in nuclear extraction buffer. The suspension was incubated on ice for 30 min and then centrifuged at 12,000 ×g for 5 min at 4 °C. The supernatant was collected for nuclear protein lysate. Nuclear and cytosolic protein concentrations were determined with a bicinchoninic acid (BCA) protein assay. Both nuclear and cytosolic lysates were used for subsequent western blotting experiments (described above). Deacetylation was measured using the Fluor-de-Lys kit. The acetylated lysine residue was coupled to an aminomethylcoumarin moiety. The peptide was deacetylated by Sirt3, followed by the addition of a proteolytic developer that released the fluorescent aminomethylcoumarin. Briefly, enzyme preparations were incubated with 3 mM NAD+ for 45 min at 37 °C followed by incubation in developer for 15 min at 25 °C. Fluorescence was measured by excitation at 360 nm and emission at 460 nm and enzymatic activity was expressed in relative fluorescence units. Assays were performed in triplicate. To study the distribution and relative amounts of SIRT3, we performed immunofluorescent staining for SIRT3 in WI-38 cells using a routine procedure. Briefly, cells were incubated with 400 nM MitoTracker Green FM for 40 min at 37 °C in PBS. The unbound MitoTracker was removed by washing the cells three times with PBS for 15 min each. The cells were fixed in 4 % paraformaldehyde for 30 min, washed in PBS and then permeabilized with 0.2 % Triton X-100 for 15 min, blocked with 1 % bovine serum albumin in PBS for 1 h, and incubated overnight with SIRT3 antibody (1:50) or TOMM20 antibody (1:100) overnight at +4 °C, FOXO1 antibody (1:50) at 4 °C in a moist chamber. After washing with PBS three times, the cells were incubated for 1.5 h with Cy3- or FITC-conjugated anti-IgG secondary antibody (1:400 or 1:50). After washing with PBS three times, nuclear staining was carried out with DAPI (1 μg/ml) for 1 min in PBS, and the cells were then washed with PBS three times. All microscopy and imaging analyses were done in the digital confocal microscopy core facility of the University of Chicago. All data analyses were performed with SPSS ver. 17.0 (SPSS Inc., Chicago, IL, USA) software values are expressed as mean ± SD. Comparisons among groups were conducted with analysis of variance (ANOVA). In all analyses, P < 0.05 denoted the presence of a statistically significant difference. All experiments were repeated at least three times. We monitored the cellular proliferation and PDs during the entire cellular life span under LG, NG, and HG conditions. The WI-38 cells in the LG group displayed an increased life span (59 PDs), while the cells in the NG group showed a normal life span (52 PDs), but the cells in the HG group showed a shorter life span (45 PDs). Experiments were terminated when cells stopped proliferating and underwent replicative senescence. As indicated in Fig. 1, the life span of WI-38 cells grown in LG medium was extended by an additional 3 weeks accompanied by an additional seven PDs compared with the NG group. However, the life span of WI-38 cells grown in HG medium was decreased by 2 weeks accompanied by seven PDs compared with the NG group. In a culture cellular system, this study established that LG may provide an excellent in vitro model for caloric restriction (CR) studies. LG can induce longevity in WI-38 cells, but HG accelerated WI-38 cellular senescence. The expression of neutral β-galactosidase activity has been demonstrated as a characteristic biomarker for senescent cells in culture and in vivo (Dimri et al. 1995). It has been reported that yeast cells grown on 0.5 % glucose medium exhibited a longer life span than cells grown on 2 % glucose medium (Lin et al. 2000). We discovered that the percentages of SA-β-gal positive cells were decreased significantly in the LG group compared with the NG and HG groups (Fig. 2a and b). These results suggest that low glucose reduces cellular replicative senescence in vitro. The accumulation of SAHF is another specific biomarker of senescent cells (Narita et al. 2003). As shown in Fig. 4, senescence induced by HG conditions was characterized by pronounced punctuated DNA foci, which were visualized by DAPI staining. Moreover, high glucose leads to cell hypertrophy and nuclear volume increase. The protein levels of p16INK4A (another biomarker of cell senescence) (Lauri et al. 2001) expression in the HG group were significantly higher than in the LG and NG groups (Fig. 2c and d). We found that low glucose decreased p16INK4A expression and thus promoted proliferation and longevity in WI-38 cells. It was reported that in mice, SIRT3 protein levels in the liver were decreased by a long-term high-fat diet (Bao et al. 2010) and that SIRT3 expression in white and brown fat was elevated by caloric restriction (Shi et al. 2005). We decided to investigate whether low glucose affects SIRT3 expression in human diploid fibroblasts in vitro. After culturing WI-38 cells from 20 to 35 PDs in low glucose, normal glucose, and high glucose media, SIRT3 protein levels increased significantly in the LG group compared with the NG and HG groups (Fig. 3a and b). Meanwhile, SIRT3 is the enzyme that catalyzes NAD+-dependent protein deacetylation. Our experimental data showed that the levels of SIRT3 activity were decreased in the HG group compared with the LG and NG groups (Fig. 3e). To obtain additional evidence for these findings, we carried out confocal microscopic analysis of cultured WI-38 cells stained for endogenous SIRT3. Mitochondria and nuclei were localized by MitoTracker or TOMM20 (green) and DAPI (blue) staining, respectively. We found that the endogenous SIRT3 was highly expressed in the mitochondria and cytoplasm (Fig. 4a and d), FOXO1 was expressed in the cytoplasm and nuclei (Fig. 4b and e), and the SIRT3 staining strongly overlapped with that of FOXO1 in the cytoplasm (Fig. 4c). These results indicated a hypothesis that there is a possible interaction between the SIRT3 protein and FOXO1 protein. SIRT3 may deacetylate FOXO1 in the cytoplasm. Furthermore, we carried out Co-IPs between SIRT3 and FOXO1. As is shown in Fig. 5, we could confirm that SIRT3 was binding with FOXO1. Overall, these data have demonstrated that SIRT3 protein physically interacts with FOXO1. In addition, the fluorescence intensity of SIRT3 and FOXO1 showed a marked increase in WI-38 cells in the LG group compared with the NG and HG groups. These results suggest that low glucose activates SIRT3 and FOXO1 expression in vitro. These results may be attributed to SIRT3, while being closely related to low glucose delaying cellular senescence. The FOXO transcription factors play a central role in regulating stress response (Sedding 2008; Furukawa-Hibi et al. 2005), and FOXO factors activate the expression of its target genes, such as catalase and MnSOD. In mammalian cells, deacetylation of FOXO factors is a general mechanism that activates FOXO transcriptional activity (Daitoku et al. 2004; Brunet et al. 2004). To study the effect of FOXO acetylation state on target gene transcription, we tested the protein levels of nuclear FOXO1, and acetylated FOXO1 (Ac-FOXO1) and its target genes. As shown in Fig. 3c and d, the protein levels of nuclear total FOXO1 expression in the LG group were significantly higher than those in cells exposed to NG and HG conditions, but nuclear Ac-FOXO1 expression in the HG group was significantly higher than in the NG and HG groups. Nuclear deacetylated FOXO1 protein expression in the HG group was significantly lower than those in the other groups. We concluded that high serum glucose activates acetylation of FOXO1 and inhibits FOXO1 activity. In addition, catalase and MnSOD protein expressions of the LG group were significantly higher than in the other groups (Fig. 3a and b). As SIRT3 is an NAD+-dependant deacetylase, we investigated whether SIRT3 affects FOXO1 acetylation. For this purpose, pSIRT3 and pVector were stably transfected into the WI-38 cells at 20 PDs. A clone was grown to about 40 PDs under high glucose media. Western blot analysis was performed from pSIRT3 cells and revealed approximately 2.3-fold and 2.5-fold increases of total SIRT3 protein, respectively, compared with control and vector groups (Fig. 6a and b). SIRT3 overexpression keeps FOXO1 acetylation to a very low level (Fig. 6c and d). However, the protein levels of nuclear total FOXO1 expression of the three groups did not show a statistically significant difference (Fig. 6c and d). These results implicate SIRT3 as a positive cofactor for FOXO1-dependent transactivation through its deacetylase activity. At the same time, to verify the direct effect of SIRT3 on FOXO1-targeted gene expression including catalase and MnSOD, we examined the expression of target genes. The results indicated that expression levels were increased in the pSIRT3 group compared with control and vector groups (Fig. 6a and b). Together, these results indicate that the deacetylase activity of SIRT3 actually mediates FOXO1-mediated transcription in mammalian cells. Meanwhile, our experimental data showed that the levels of SIRT3 deacetylase activity were greatly increased in the SIRT3 group compared with the control and vector groups (Fig. 6e). Next, we examined whether SIRT3 overexpression can protect WI-38 cells from high glucose-induced premature senescence. As shown previously (Zhang et al. 2006), high serum glucose induces premature senescence (Figs. 1 and 2). Our results indicated that the overexpression of SIRT3 significantly reduced the number of cells positive for SA-β-gal and inhibited SAHF formation compared with empty vector (Fig. 7a, b, c and d). Meanwhile, the accumulation of p16INK4A was decreased (Fig. 7e and f). We investigated whether inhibition of expression of SIRT3 induces cellular senescence. For this purpose, plasmid DNA sh-NC and sh-SIRT3 were stably transfected into the WI-38 cells at 20 PDs. A clone was grown to about 40 PDs under low glucose media. The results showed that inhibition of SIRT3 expression by shRNA resulted in an increase in acetylated FOXO1 (Fig. 8c and d). However, the protein expression levels of nuclear total FOXO1 of the three groups did not show a statistically significant difference. At the same time, the expressions of catalase and MnSOD in the sh-SIRT3 group was significantly lower than in the sh-NC group (Fig. 8a and b). Meanwhile, our experimental data showed that the levels of SIRT3 deacetylase activity were greatly decreased in the sh-SIRT3 group compared with the control and sh-NC groups (Fig. 8e). These results indicated that SIRT3 knockdown can inhibit FOXO1 transactivation activity. sh-SIRT3 and sh-NC were stably transfected into WI-38 cell at 20 PDs. At the time WI-38 cells were stained using SA-β-gal and DAPI staining when they reached 40 PDs in low glucose media. We found that SIRT3 shRNA-mediated inhibition of SIRT3 resulted in DNA foci accumulation and an increased number of cells positive for SA-β-gal (Fig. 9a, b, c, and d). Meanwhile, accumulation of p16INK4A increased (Fig. 9e and f). Recent evidence suggests that calorie restriction, specifically, reduced glucose intake, induces extended life span in various model organisms, including Saccharomyces cerevisiae, D. melanogaster, C. elegans, and mice (Ristow and Zarse 2010; Lopez-Lluch et al. 2008; Kassi and Papavassiliou 2008; Judge and Leeuwenburgh 2007; Hunt et al. 2006; Jazwinski 2005). Meanwhile, it is well known that overexpression of Sir2 orthologs extends life span in a wide range of lower eukaryotes (Lin et al. 2000; Kenyon 2010; Rahat et al. 2011; Frankel et al. 2011). In this study, first, we found that the protein expression of SIRT3 increased under LG conditions and decreased under HG conditions in WI-38 cells. These findings inspired the assumption that SIRT3 has a role in regulating cellular senescence in WI-38 cells and is a potential pharmacological target to treat the major diseases of senescence. Second, we found that FOXO1 is acetylated by high serum glucose, and total FOXO1 expression is decreased. Third, SIRT3 binds to FOXO1 in the cytoplasm. We tried to elucidate the mechanisms of how SIRT3 and FOXO1 communicate in cellular senescence in human diploid fibroblasts. The SIRT3 gene lies at the telomeric terminal on the 11p15.5 chromosome (Rose et al. 2003). Schwer et al. (2002) assayed endogenous SIRT3 in the mitochondrial fraction of human embryonic kidney cells and found that it had specific NAD-dependent deacetylase activity. Mitochondrial import of SIRT3 was dependent on an N-terminal amphipathic alpha helix rich in basic residues. A study showed that SIRT3 exists in two forms: in humans, a full-length protein of 44 kDa and a processed polypeptide lacking 142 amino acids at its N-terminus. They discovered that SIRT3 not only localizes to the mitochondria but also to the nucleus (Scher et al. 2007). SIRT3 was proteolytically processed in the mitochondrial matrix to a 28-kDa product, and this processing was reconstituted in vitro with recombinant mitochondrial matrix processing peptidase (MPP). Mutation analysis showed that SIRT3 was cleaved between arginines 99 and 100. The unprocessed form of SIRT3 was enzymatically inactive and became fully activated in vitro after cleavage by MPP (Schwer et al. 2002). A recent study showed that CR reduces oxidative DNA damage in multiple tissues and prevents age-related hearing loss in wild type mice but fails to modify these phenotypes in mice lacking the mitochondrial deacetylase SIRT3 (Someya et al. 2010). Two studies demonstrated that SIRT3 deacetylates mitochondrial 3-hydroxy-3-methylglutaryl CoA synthase 2, regulates ketone body production, and reduces cellular ROS levels dependent on superoxide dismutase 2 (Qiu et al. 2010; Shimazu et al.2010). We found that SIRT3 was highly expressed in the mitochondria and cytoplasm. The SIRT3 of cytoplasm came from the mitochondria in the process of cellular senescence in WI-38 cell. The SIRT3 strongly overlapped with that of FOXO1 in the cytoplasm, SIRT3 deacetylated FOXO1 and then FOXO1 from the cytoplasm into the nucleus upregulated its transcriptional activity. We observed changes in FOXO1 and Ac-FOXO1 by overexpression and suppression by the expression of SIRT3. Our results indicated that overexpression of SIRT3 results in decreased levels of nuclear Ac-FOXO1 protein, and shRNA-SIRT3 increased the expression levels of nuclear Ac-FOXO1 protein. Transcriptional activity of FOXO1 has been known to be mainly regulated by post-translational modifications of phosphorylation-dependent nuclear exclusion and deacetylation-dependent nuclear retention. In spite of Sirt3 overexpression-mediated deacetylation, there is no difference in total nuclear FOXO levels in Fig. 6. Furthermore, Sirt3 shRNA was shown to increase acetylated FOXO1 without a difference in total nuclear levels (Fig. 8). These results suggest that there are different types of regulation for nuclear FOXO1 levels other than Sirt3-mediated regulation in the setting of high glucose levels. These results need to be explored in further experiments. 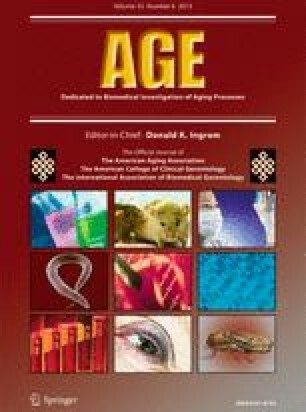 In a clinical study, it was reported that older people (59–76 years) with a sedentary lifestyle had about 40 % reduced SIRT3 levels compared with younger people (18–30 years), and after endurance exercise, the health benefits in older people were accompanied by elevated levels of SIRT3 (Lanza et al. 2008). In two studies, SIRT3 is a longevity factor (Bellizzi et al. 2005; Rose et al. 2003), and it is the only member of the sirtuin family which increased expression has been linked to an extended life span of humans. Increased expression of SIRT3 due to polymorphism in the SIRT3 promoter was found to be associated with an extended life span in humans, thus implicating a role of SIRT3 in the genetic control of human aging. In this study, our data, for the first time, demonstrated that SIRT3 interacts with and deacetylates a FOXO transcription factor, FOXO1. Deacetylation of FOXO1 by SIRT3 results in the stimulation of the expression of the FOXO target genes, catalase and MnSOD. Results from both SIRT3 overexpression and knockdown experiments suggest that FOXO deacetylation by SIRT3 activates FOXO transactivation activity. These findings are in agreement with a recent report that deacetylation of FOXO allows ubiquitination and subsequent increase of transcriptional activity of FOXO factors (Sundaresan et al. 2009). The most important and novel finding of this study is that enforced SIRT3 expression in WI-38 cells under high glucose conditions prevented cellular premature senescence. Meanwhile, knockdown of SIRT3 by shRNA under low glucose induced cellular premature senescence. Caloric restriction is the only well-characterized condition that can extend the life span in organisms ranging from yeast to mammals (Kenyon 2010). Li et al. found that glucose restriction (GR) can inhibit cellular senescence and significantly extend cellular life span compared with cells receiving normal glucose (NG) in the culture medium (Li and Tollefsbol 2011). Previously, many studies have demonstrated that CR increases the expression of SIRT1 and that the life span extension associated with CR is dependent on SIRT1 expression (Canto and Auwerx 2009; Saunders and Verdin 2009; Gillum et al. 2010). Meanwhile, many studies found that FOXO gene variants have also been linked to longevity in several cohorts. It is striking that FOXO variants are consistently associated with longevity (Anselmi et al. 2009; Flachsbart et al. 2009; Li et al. 2009; Lunetta et al. 2007; Willcox et al. 2008). This model indicated SIRT3 may pose a central role in cellular senescence through directly modulating FOXO1 signaling under the circumstance of high glucose (Fig. 10). In summary, our data, for the first time, suggested roles of SIRT3 and FOXO1 in the relationship with cellular premature senescence in human diploid fibroblasts: SIRT3 overexpression antagonizes high glucose-accelerated cellular senescence in human diploid fibroblasts via the SIRT3–FOXO1 signaling pathway. We thank Chi-Dug Kang for the gift of pCMV6-AC-GFP vector. This work was supported by the National Basic Research program of China (973 Program) (2007CB507400), and a grant from the National Natural Science Foundation of China (30771014, 81070267).